Meg is your average, adorable yellow Labrador retriever. 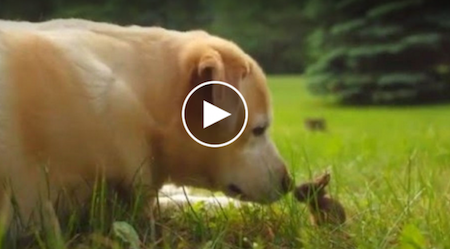 She goes about her days playing in the yard, but on one special afternoon, she came across a tiny new playmate. Thankfully, Meg’s dad, David Jackson, was nearby and filmed the incredible meeting. Be prepared to die from cuteness overload!